You must push through your fear. Easier said than done, amIright? But, think about it this way – what if you were encouraged to push through your fear at a younger age? Maybe as a high school senior? Or as a college sophomore? What if you were supported in that journey at age 16 vs. 36? Would you see the world differently? Would you show up for the world differently? Would your life or career be different? 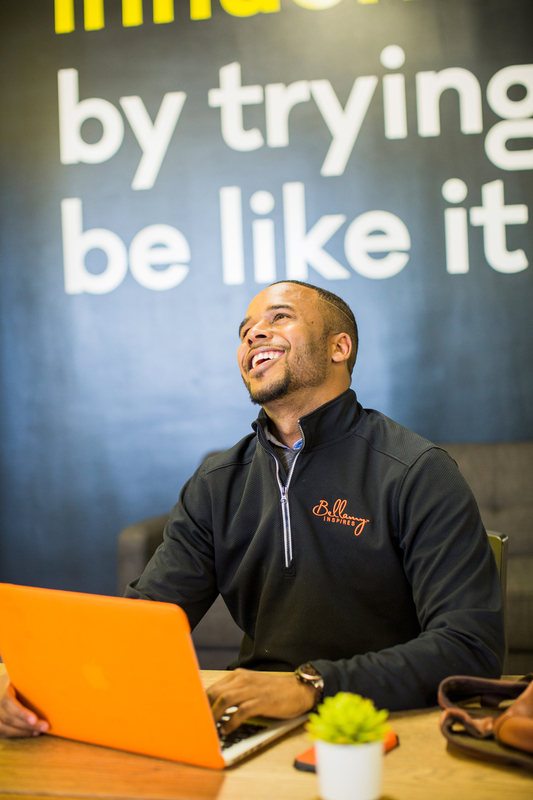 As Founder of Bellamy Inspires, Darryl Bellamy takes that key phrase one step further: You must push through fear to become whom you want to be an reach heights you’ve never reached before. And he’s known nationally for sharing that key phrase with thousands of high school and college students. His vision is clear: He wants to eradicate fear and self-doubt from student leaders; fast forward that 10-20 years, and what he’s really doing is eradicating fear and self-doubt from the next generation of decision makers. Now, that’s some powerful work. A graduate of the University of North Carolina at Charlotte with a degree in Business Management, today Bellamy is a self-professed Corporate America dropout, Author of Waking Up Chase, and professional speaker. The career he knows today started approximately two years ago. Working for a consulting company, Bellamy felt ‘pretty satisfied’ with his life and career – a seven on a scale from one to 10, 10 serving as most satisfied. He wanted to get to a 10. So, he Googled ‘life coach’ and found a coach who also worked as a full-time speaker and author. It sparked Bellamy’s interest in public speaking. He started attending National Speakers Association meetings, networking with speakers, engaging with mentors. “The next year, I quit my job to do this full-time,” he shared. The experience tapped into something Bellamy knew about himself and the career he wanted. He felt that entrepreneurial drive earlier in his career. 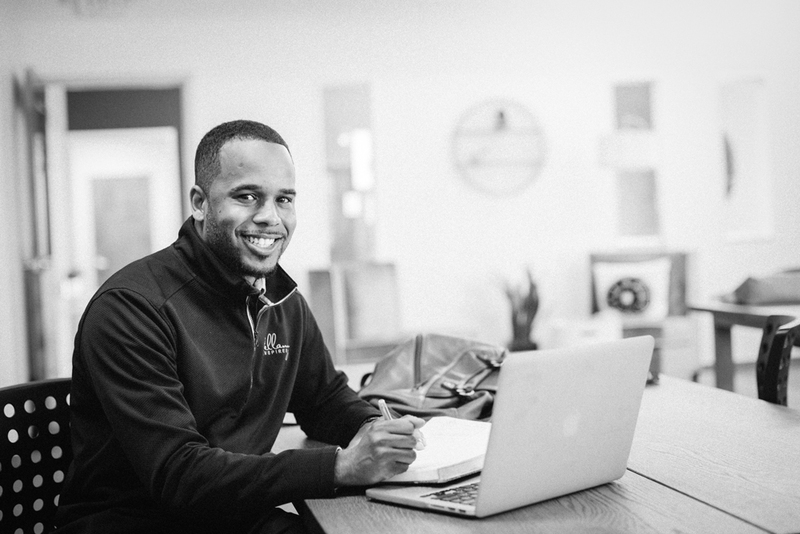 As a student at UNCC, he started Kollege Koncierge – a program designed to support freshmen students with the transition into college life. He needed 100 families to sign up to make it a career. One family signed up. 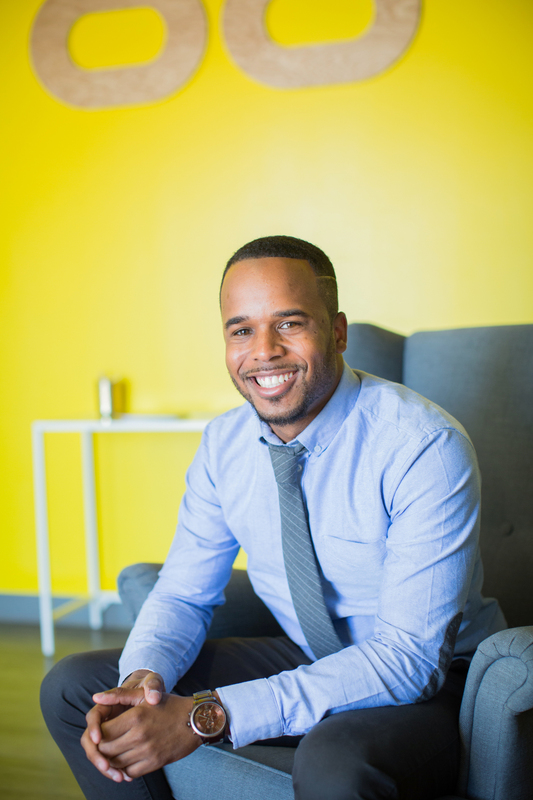 He pursued Corporate America, but kept a pulse on developing a career that allowed him to help support the next generation of students and student leaders. Bellamy’s business – and track record of success – is growing quickly. One of those things that he’s figured out along the way is that he needed and wanted to be surrounded by people. “One thing I figured out from Corporate America is that I like people, I like laughing and having co-workers, and I missed that energy, when I was working from my kitchen table when I started Bellamy Inspires,” he admitted. 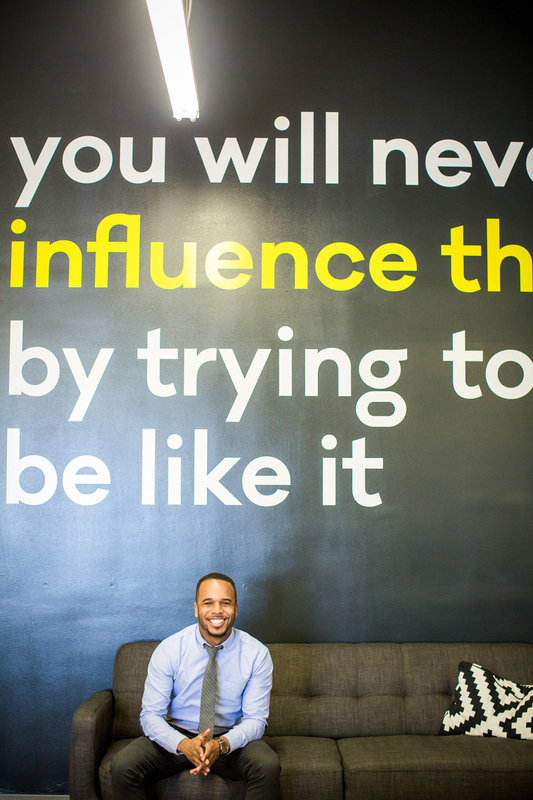 As he did once before in his career, he jumped on Google; this time though, he searched ‘co-working in Charlotte’. Among others, the results yielded Hygge. That was last November. Bellamy has been working from Hygge’s Remount Road location ever since. Relying on each other for support and encouragement is another hallmark of Bellamy’s brand. He notes that when he asks the question ‘What’s the one thing that’s stopping you?’ he hears a lot of the same fears: fear of failure, fear of judgement or rejection, fear of not being good enough. Learning from and supporting those who have pushed through fear is something that makes Bellamy Inspires special. At every speaking engagement, he passes out black wristbands. On the inside, each band is inscribed with a simple, but powerful message: I am fearless. Bellamy shares a collection of fearless band stories – participants who have reached out to him with gratitude for not only the band, but also the courage to push through the fear. A Quick Reference Guide to Fear: But seriously – HOW do I push through fear? Manage it. “Again, it’s not denying fear – it’s always be there – it’s managing it,” Bellamy noted.